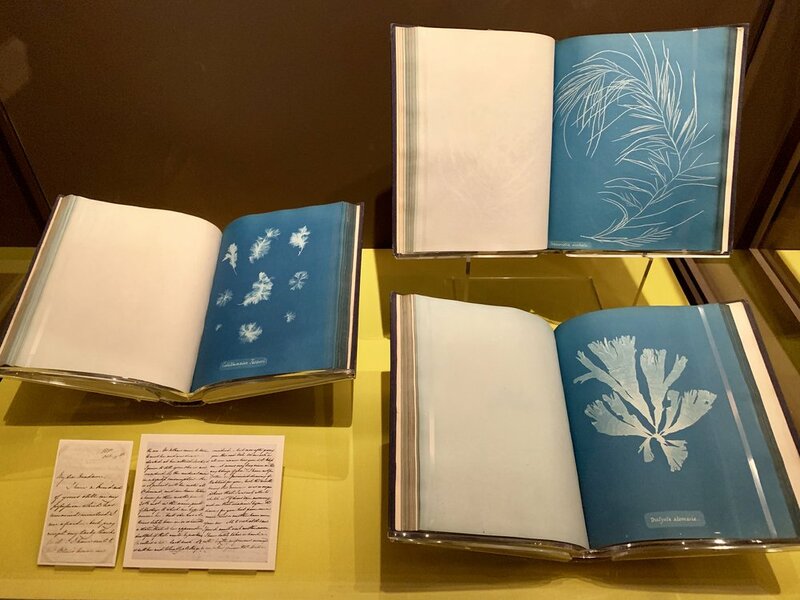 The New York Public Library has a small exhibit featuring work by Anna Atkins, a British botanist and photographer. It’s common knowledge that women are underrepresented as artists in museums and galleries and vastly understudied in academic settings — and so here we have this tiny (though densely packed) exhibit at the NYPL, not your typical art gallery, showcasing work by not only a female photographer, but a scientist. A trailblazer… that no one has ever heard of. This exhibit was very interesting in a bunch of different ways. Her father was also scientist and he raised her as a single parent after her mother died. She was involved with her father’s work from a young age and eventually became a botanist (one of the few areas in science that women could study) and started producing photographs of her algae collection. At first I wasn’t interested in going to this exhibit because, algae? What? But I want to prioritize women-run everything, and so I went. 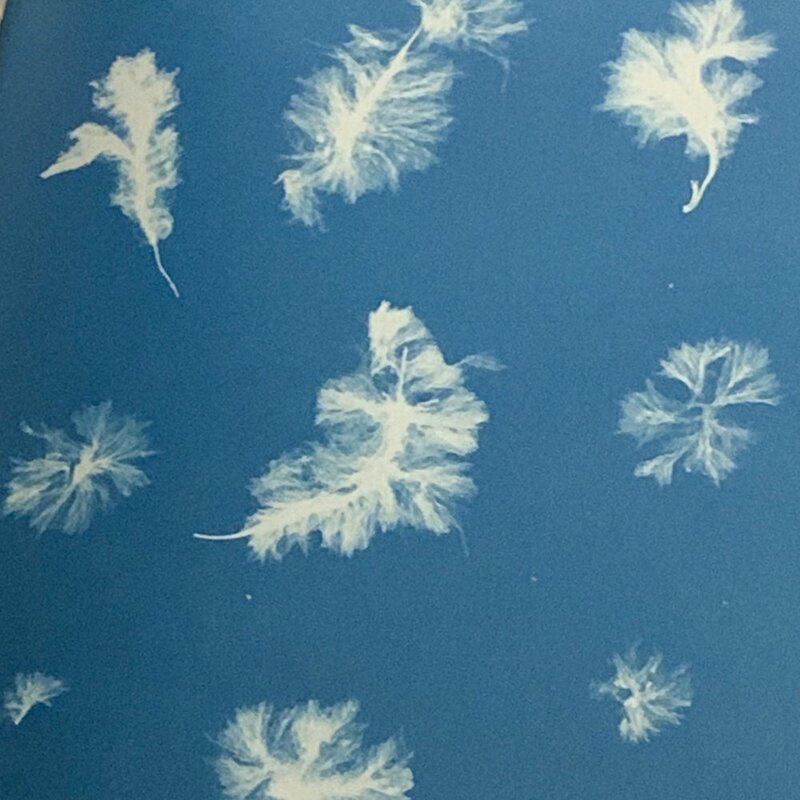 Turns out Anna Atkins is not only the first woman photographer, but also the first person to publish a book with photographic images! I also liked how the exhibit touched on an important female friendship she shared with Anne Dixon, with whom she collaborated on some of her published work. This woman was an artist and a scientist in a time when being either (let alone both) was not acceptable for women. I think it’s so cool that the NYPL values this work and created this exhibit to teach us about her. Lest we not forget about the actual art! It was surprising serene and very detailed. I associate algae to being a slimy green water plant, but the deep blue paper and overlaying shadows felt ghost-like and ethereal in a way I really enjoyed. Algae, who knew? On view until February 17th. For more information about the exhibit, click here. Did you go? Share your thoughts in the comments!